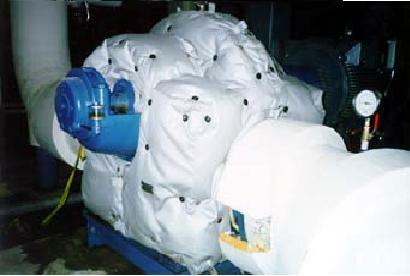 Our Insulated Cover Systems are made from Fiberglass Insulation Material, Tactile cloth as well as Teflon. Our products are custom made to order and are sewn with heat resistant thread. Velcro is used to attach the jackets to equipment for easy removal for maintenance purposes.